A literary prize, sort of, for self-published authors. 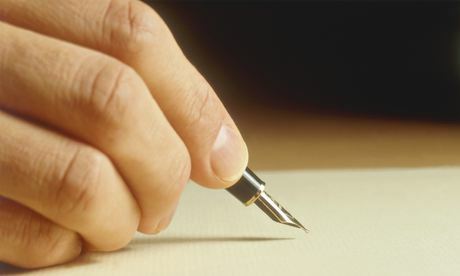 The Guardian Newspaper in the UK is establishing the first ever literary prize for self-published authors. Another sign that self-publishing is still growing strong, the paper is working with publisher Legend Times to attract independent authors, ostensibly to find new talent to publish. Recent statistics show that, at least in the UK, one in five books published last year were by an independent author. The paper reports it has a team of twenty readers who will pore through manuscripts each month to find just one prize winner.The prize itself, from the description, seems to amount pretty much to a pat on the back and a “Jolly well done!” from the promoters. There is no cash prize, but the winner will get mentioned in the newspaper along with an excerpt of the work. The unspoken part of this is that The Guardian has started a new book section on self-published authors. This is a good way to gather info to report on. You can bet that Legend Times will also troll through the submissions looking for new talent, but they emphatically state that no promises of publication are part of the prize. There is undoubtedly good in all this for everyone involved, but most "starving writers" tend to prefer cash over publicity. If you are an indie author and want to submit, here is a link to the rules and instructions: Terms and Conditions for entries to the competition.